Heat grill to medium heat. Mix cream cheese, salt, pepper, garlic powder, and red pepper flakes. Roll out pizza dough. Spray both sides with olive oil. Grill 3 minutes per side. Remove dough from grill and spread on cream cheese. 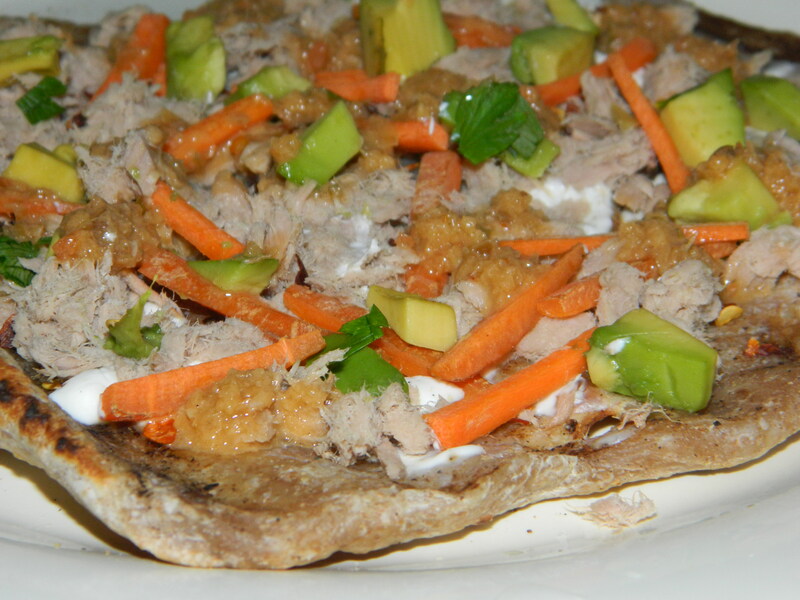 Top with tuna, avocado, and carrots. Place back on grill for another 3 minutes or so. Remove from grill again and drizzle with dressing and garnish with cilantro.